Doctors who own their own practice can generally qualify for most medical practice loans because of their high earning potential, strong net worth, and stable revenue. An SBA loan will typically give a doctor the lowest monthly payment of most term loans. However, alternative small business lenders can get you funded for medical practice loans quicker and with less paperwork. If you can’t wait for the 2-3 months for an SBA loan or don’t want to deal with all the paperwork, consider a short-term loan from OnDeck, who sponsored this article. OnDeck offers prime borrowers rates as low as 6.99% and can get you funded in as fast as 1 day. Apply online for up to $500K. Doctors usually have plenty of financing options when they’re looking for money to fund their practice. This is due to the medical field being a very safe bet for lenders, and the fact that doctors are likely to make enough money to cover any potential debt payments. This means that physicians can be picky in finding medical practice financing that fits their exact needs. The best long-term financing option is generally going to be a loan from your traditional bank or an SBA loan through a traditional lender. These financing options typically offer the lowest rates and longest repayment terms available. They also can take quite a bit longer to fund, and require a lot more documentation than alternative loan options. These traditional medical practice loans are a good option for doctors who can wait for up to 120+ days to get funded, and who are looking for a long-term financing solution. This makes them great if you’re buying into a private practice or if you’re financing a brand new practice and need to buy real estate or expensive equipment. 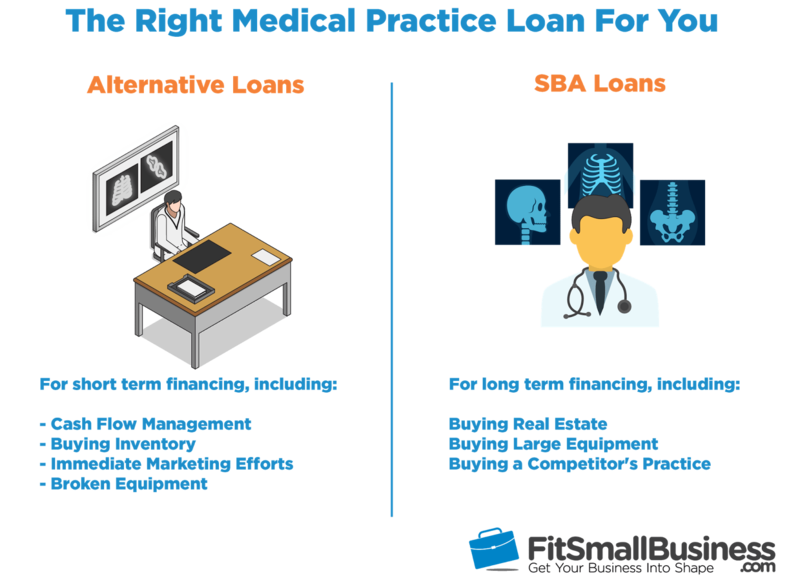 In this article, we’re going to focus on SBA loans, instead of traditional bank financing, as our long-term financing example because they’re the most readily available traditional loan option for Doctors looking to start or buy a practice. Another option for medical practice financing is to get an alternative loan, which is a short-term loan or line of credit used for immediate cash flow needs. These loans typically have higher interest rates and shorter repayment terms. This makes them a good fit for short-term financing needs, like replacing inventory or paying for marketing efforts. Doctors with a significant amount of debt may not qualify for SBA loans, possibly making these alternative loans their only option. This is especially important to physicians looking to start a practice out of school because 47% of doctors have $100K+ in medical school loans. That amount of debt could make it more difficult to qualify for an SBA loan or a traditional bank loan. If you only need to finance a short-term solution then these loans will likely have a smaller total cost of capital than SBA loans. Alternative loans typically are only in repayment for up to 3 years, while SBA loans could be spread out over 10 years. Making that many more interest payments increases your total cost of capital of the loan. To learn more about the right business loan for your medical practice, join our free, five-minute webinar. Join our expert Megan Hanna as she covers your loan options and how to qualify for funding. Both SBA loans and alternative loans can be beneficial for doctors, depending on what your goals are, what your credit profile looks like, and how much money you need. SBA loans offer lower rates, longer repayment terms, and higher loan amounts. But alternative loans can offer quick funding (as quick as 1 day), and their rates can be comparable to SBA loans if you’re a prime borrower. The speed that you’re funded is most important if you have an immediate need, like a cash flow problem or if an important piece of equipment breaks. Alternative loans will fund much faster than SBA loans. Since there are many alternative loan providers out there with varying rates & terms, we’ll look at just one provider, OnDeck. OnDeck can typically get you funded in 2-3 business days. If you need the funds for an immediate need, like purchasing new scopes or replenishing inventory, a fast business loan from OnDeck could be a good choice for your medical practice. The one major downside to an SBA loan is how long it takes to both go through the application process and get funded. It’s common for the process to take 45-120+ days from beginning to end. This makes it difficult to take advantage of the lower rates if you have time-sensitive financing needs. Applying for an OnDeck loan requires some basic personal and business information, which is submitted entirely online. OnDeck then analyzes your business cash flow by syncing with your accounting software and bank account. If convenience is important to you, OnDeck can be a good choice to get medical practice financing. OnDeck can lend you up to $500K for your medical practice without you having to go through the headaches that an SBA loan requires. Your basic personal and business information, including bank statements, is enough information to get you approved. Getting an SBA loan is going to require a lot of documentation, and your lender will likely have a lot of questions for you and your business. The more complicated or involved your financial situation is, the longer it is likely to take for you to get funded. Once you submit all of the required documentation your lender will underwrite the loan and request the SBA’s approval in order to receive the SBA guarantee. The entire process can easily take up to 90 days. It can take longer if you have multiple legal entities for multiple medical practices, investment properties, etc. Closing: Requires review of 90+ pages of loan documents, if closing documents are approved by the lender. With an SBA loan you can expect to get the lowest monthly payment, but a short-term loan with a lender like OnDeck will likely have a lower total cost of capital. This is because you can repay the OnDeck loan within three years, while you may be paying interest on an SBA loan for up to ten years. Calculate Your Costs: Pre-qualify for an OnDeck loan within 5 minutes and see how much it may cost you. Minimum requirements for a loan won’t often be your top concern as a doctor unless you’re just out of medical school and have a limited income history or a large amount of medical school debt. SBA loans will be more difficult to qualify for under these circumstances. Alternative loans from OnDeck are much easier to qualify for than SBA loans, and they can be funded much faster. If you have a short-term financing need for your medical practice then you can apply online and prequalify within 5 minutes. OnDeck can get funded for up to $500K in as quick as 1 day. And if you’re a prime borrower, your rates can be as low as 6.99%. Medical practice financing helps doctors start a new practice, purchase a practice, or to expand their current practice. The nature of your business requires specialized equipment and sufficient tools to adequately service your patients. This can be very costly to new or expanding practices, and medical practice financing can help you overcome those hurdles. Physicians have many different uses and reasons for obtaining financing, and you should typically weigh whether yours is a short term or long term financing need. For instance, if you need funds to market your new practice or to replenish inventory while you wait on insurance payments, then short-term financing is a good solution. However, if your needs are more long term then you’ll want to consider other financing options like an SBA loan. This includes buying real estate or funding large equipment purchases that have a long shelf life, like x-ray machines. This will keep your immediate costs low on those assets you plan to hold for a long period of time. Many medical practices, whether generalists or specialists, can occasionally run into trouble receiving timely payments for the services they provide. Because of slow payers, bounced checks, and problems with billing departments at insurance companies, even a healthy practice with a steady stream of patients can have a tight cash flow. Having the right financing available to help manage cash flow is critical. 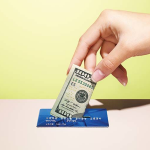 While it might make sense to charge some regular expenses to a small business credit card, other expenses will require immediate cash available in your business checking or savings accounts. From making sure that payroll is met to covering your lease, it’s helpful to have access to quick capital. A good example is treating individuals involved in a lawsuit. These types of treatments are generally provided in advance of payment because the bills are covered by a legal settlement. Court proceedings can drag on, and make it difficult to predict when you will be paid for your services. A long-term loan, like an SBA loan, is an okay tool for this job. But because it can take upwards of three months to obtain, you need to have it in place before your cash flow gets tight. Even then, despite that low APR, you’re potentially sitting on unused capital and getting charged interest the whole time. At the end of the day, that will significantly increase your total cost of capital. In that situation, a line of credit could be a better alternative. A small business line of credit is a good tool to help manage cash flow. OnDeck offers a line of credit product that has a very easy online application. You can get a line of up to $100K with rates as low as 13.99% in just a couple days. With an OnDeck line of credit you only pay interest on the amount you draw, and you have 6 months to repay your balance after each draw. Having access to a line of credit before you need the funds means you’re never in danger of coming up short because delays in A/R. Acquiring a competing medical practice or buying out a partner can be a great way for you to grow your business. It can mean serving new territories, offering new services, and acquiring new patients. Some of these opportunities are planned out long in advance but others are the result of completely unforeseeable circumstances, such as a competitor retiring early. How long you’ve had to plan for the opportunity will have a large impact on what financing will best enable you to move forward with any opportunity. If the acquisition or buyout has been part of a plan being developed with other partners or mentors, you will likely have time to organize long term, low rate financing with an SBA loan. While SBA 7a loans often take 2-3 month to obtain and require a great deal of paperwork and effort during the application process, you can borrow up to $5 million at great rates. But not every acquisition or buyout is the result of a well planned transition. Sometimes opportunities present themselves quite suddenly and delays in funding time can mean losing out to a competitor. In these cases, the speed of obtaining financing with OnDeck is hard to beat. The borrowing limit of $500K may limit certain buyouts, but it should be enough to facilitate a transaction for most medical practices. Having the right equipment for your office is critical. If an important piece of equipment goes down, you’re losing revenue. If you’re not investing in new equipment, you’re limiting your maximum revenue capabilities, and limiting the range of patients you can diagnose and treat. If you need equipment to fill out your new office, or an expansion location, then you probably have enough time to work through the process and time period of an SBA loan. However, if some of your expensive equipment, like your x-ray system, breaks suddenly you may find that you need funds much quicker to prevent a loss in business. The best way to deal with large equipment that breaks, like an infusion pump, is by having a small business line of credit on hand to prepare for these events. If you do not have a LOC at your fingertips, then you likely will need to access a small business loan quickly. In addition to medical equipment your medical practice is also going to typically have a large yearly expense in IT equipment and software. The HIPAA laws are very strict these days, and it is more important than ever to keep your patient’s health information secure. You can expect to spend as much as 10-12% of your gross revenues every year just on your IT expenses. If you have time to prepare for larger purchases, like upgrading your IT software or purchasing equipment for your new office, then you may want to look into an SBA loan. However, if you have equipment that breaks and you need funds to replace it quickly then you likely can’t wait the 30-90 days an SBA loan typically takes to fund. In these special cases you should visit OnDeck to see how much you can get funded for this week. Purchasing commercial real estate for a medical practice is a great way for doctors to grow their net worth, and it could lower your monthly expense payments if you’re currently renting. When the right real estate location comes along to expand your business you don’t want to have to pass on it because of a lack of funds. Like SBA loan, most commercial real estate loans have lengthy application processes and can take a long time to fund. If the purchase of your next office or clinic is planned far enough in advance, timing shouldn’t be an issue. On the other hand, if an unexpected opportunity arises and you need funding quickly, an alternative loan from OnDeck may be a good fit. Medical practice facilities are typically affordable enough that short term financing could be used as a bridge loan until you can get funded for a commercial real estate loan with longer repayment terms. You might need money for various marketing activities when you want to grow your practice, acquire a new practice, relocate, or when expanding and opening up a satellite office. Marketing a medical practice is generally done through both online and offline activities. If your medical practice is fairly new then you may not have the working capital funds to give your marketing efforts what they really need to help your business grow. Getting quick access to capital from a lender like OnDeck can get you financing when you need it so that you don’t miss a growth opportunity. Both long-term financing, like SBA loans, and short-term financing, like alternative loans from OnDeck, can be good options for doctors. Knowing when to use each is key to maximizing the value of your medical practice financing. While many will want to wait for long-term financing to save on their monthly payments, you may find the benefits of an alternative loan just as helpful. Alternative loan providers can get you funded in as little as one business day. They also have a much more simple application process, allowing you to apply online in about five minutes. All of this means that you have more time to treat patients, manage your medical practice, and grow your business. While doctors can often have their pick of financing, many traditional lenders (bank and credit unions, SBA loan providers, etc) will want to take a 1st position on all collateral. 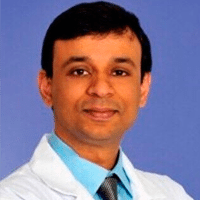 This may be difficult for some doctors with multiple loans, and it could be too restrictive for others looking for a quick financing solution. Some alternative lenders are comfortable taking a second position to others. More and more, alternative lenders are offering prime borrowers rates that are as competitive as most bank financing. For example, OnDeck offers rates as low as 6.99% to well-qualified borrowers. If you qualify then it’s difficult to justify the extra hoops you must pass through in order to get an SBA loan or to get other traditional financing. Doctors that own their own practice will generally have no shortage of borrowing options. SBA loans, with their low rates and long repayment terms are a very attractive option. But their lengthy and involved application processes can make SBA loans feel like too much work. This is especially true when you’re juggling the day-to-day operations of your practice. OnDeck is meeting the needs of prime borrowers, like Doctors looking for medical practice loans, all the time. They offer rates as low as 6.99%, create an application process that takes minutes rather than months, and can get loans approved and funded within 1-3 days. These loans are becoming more competitive with traditional financing options every day. Qualify online today for up to $500K.